Give Us Some Global Warming! Over the years working with professional traders I found it interesting how each individual has their bellwether stock they follow to gauge the stock markets trend and identify reversals before they take place. About 10 years ago I traded with a floor trader who swore that whatever GS (Goldman Sachs) did the market followed. Another said he only used XOM (Exxon Mobile), while Stan Weinstein says GM (General Motors) was the stock to follow. While each of these traders have been highly successful with their bellwether stock, I wanted to cover these in more detail and show you have to get the best of each of their strategies working for you. This will help you properly time the market, identify the overall market health and at which point you should be getting long or short stocks in your portfolio. If you would like to successfully trade both bull and bear markets then join my trading and investing newsletter today and catch the next hot sectors for 2014 using my ETF Trading Strategies. Brenner died Saturday afternoon at his home in New York City, said Jeff Abraham, who was Brenner’s publicist. The gangly, toothy Brenner made more than 150 appearances as a guest and substitute host on Johnny Carson’s “Tonight Show,” starting in the 1970s. Before he was reelected in 2012, Obama felt it necessary to align his policies on Iran to the preferences of the US public. And as a consequence, although he voiced harsh criticism of congressional sanctions bills against Iran, he grudgingly signed them into law. He then proceeded to use the sanctions he opposed but signed as proof that he supported Israel in speeches before Jewish audiences. Now that he no longer has to concern himself with the wishes of the American public and its representatives in Congress, Obama has dropped the mask of opposition to Iran and forged ahead with a diplomatic process that all but ensures Iran will acquire nuclear weapons. The same is apparently the case with joint US-Israeli missile defense programs. Last week (3/05), it was reported that the administration has slashed funding of those programs by two-thirds for the 2015 fiscal year. Obama touted his previous willingness to fully fund those programs – manifested in his decision not to veto congressional appropriations, despite his stated desire to slash funding – as proof of his administration’s “unprecedented” security cooperation with Israel. For instance, on Sunday (3/09) Breitbart reported that the State Department has drastically decreased the number of Israeli tourist visa applications it approved. The rise in rejection rates has prevented Israel from participating in the visa waiver program. And further, the State Department rejected hundreds of visa requests from members of Israel’s security services. Israeli Foreign Ministry officials told me they believe this is a deliberate, premeditated policy. Although White House spokesman Jay Carney was quick to claim that Israel’s interception of the Iranian missile ship en route to Gazalast Wednesday (3/05) was the result of US-Israeli intelligence cooperation, the fact is that the US continues to undermine Israel’s covert operations in Iran. Earlier this week, CBS reported that the Obama administration has demanded that Israel stop its reported covert campaign to kill Iranian nuclear scientists in order to delay or block Iran’s nuclear progress. Obama’s new willingness to threaten Israel and to take the actions he feels it is safe to take to downgrade Israel’s relations with the US will likely only grow after November’s midterm elections. After the congressional elections, Obama will feel entirely free to attack the US’s closest ally in the Middle East. In his speech at the AIPAC Conference last Tuesday (3/04), Netanyahu rebutted every position Obama has staked out on the Palestinians and Iran without ever mentioning Obama’s name. By doing so he energized Israel’s supporters while denying Obama the ability to claim that Netanyahu is unsupportive of his policies. Such a multi-pronged strategy begins with Iran. Here is Priority #1: Israel needs to directly attack Iran’s nuclear installations – by covert action as well as through overt military strikes, as required. In a conversation with me, Cruz placed the blame for Obama’s success in implementing his anti-Israel policies on the Senate Democrats, led by Majority Leader Henry Reid. In his speech to AIPAC, Democrat Sen. Robert Menendez, who chairs the Senate Foreign Affairs Committee confessed that he was forced to stand down on Iran sanctions due to partisan pressure. If Obama views the midterm elections as the final restraint on his ability to act against the will of the American public, his fellow Democrats likely view the elections as the last time Obama will serve as the head of their party during an election cycle. In the 2016 elections, the Democrat presidential nominee will set the tone for the party, not Obama. Moreover, as the full economic impacts of Obamacare, Obama’s signature domestic policy, become known after the midterm elections, Obama will be even more severely weakened. Consequently, his ability to pressure his Democrat colleagues to toe his line will be diminished. Mr. Obama needs to read my book, The Israeli Solution: A One-State Plan for Peace in the Middle East. Israel does have a viable alternative. It involves applying Israeli law to all of Judea and Samaria and integrating the Palestinians into Israeli society. Netanyahu has stated his support for establishing a Palestinian state. But he has made clear that he will only agree to a peace deal that protects Israel’s vital interests. While maintaining faith with that position, it would be prudent for him to discuss publicly and at length the fact while a negotiated peace is his preference, there is a fine alternative to a Palestinian terror state in Israel’s strategic and historic heartland. Caroline Glick is Deputy Managing Editor of the Jerusalem Post. Her new book, The Israeli Solution: A One State Plan for Peace in the Middle East, was released on March 4. One of the basic tenets of liberalism, whether they admit it or not, is taking from the productive and giving to the unproductive. 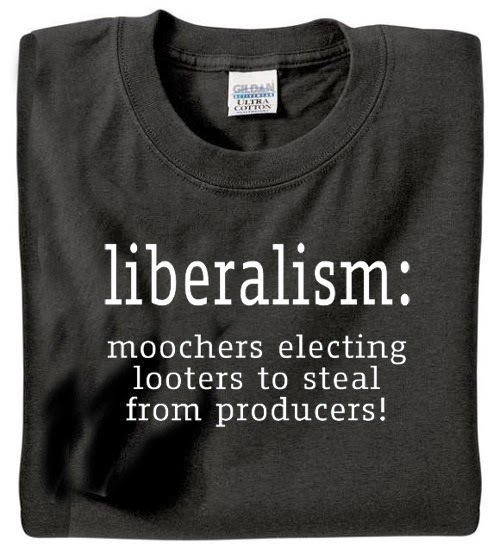 The moochers who take from society understand that, which is why they keep voting for liberals who are driving our country into bankruptcy. Nikki, an amazing computer hacker, escape to Florida to find the answers. fetulent. It apparently comes from the Latin verb Fetulentum meaning full of; prone to; rich in; abounding in. Now I want to know when does the next J.D. Cannon book come out?